attendees with a memorable experience. 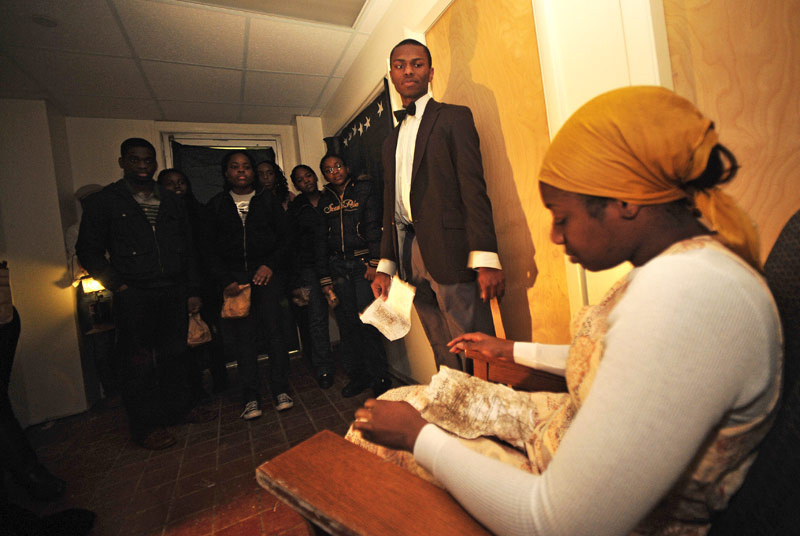 Tomorrow night, Reed Community students and staff will lead guided, interactive tours of a re-enactment of the Underground Railroad, complete with actors, actresses and vocal performances. Now in it's fifth year, Glory Bound: A Voyage Through the Underground Railroad is sure to leave participants with an experience they won't soon forget. Attendees will experience this interactive program as if they were slaves in search of freedom, moving hurriedly from one location to the next. In addition to a memorable experience, housing residents will receive free t-shirts and there will be journey bags available full of snacks. After the tour, stick around for a reflection discussion. This event is a blue card program and is free and open to the public. Parking will be available in the N08 and N09 lots and Tate Deck. Tours will begin in the Reed Hall lobby from 6 p.m. - 8p.m.